Community Lost & Found – Tiles are Shipping! An earlier blog post presented the SelfStarter project called Tiles, a small chip developed to help locate misplaced items using a smartphone app. Considering this as a tool for those with organization challenges (where did I put that?? ), the Tile offers a few advantages over others I have used as it doesn’t run on a battery which can be yet another obstacle with use of locating tools. 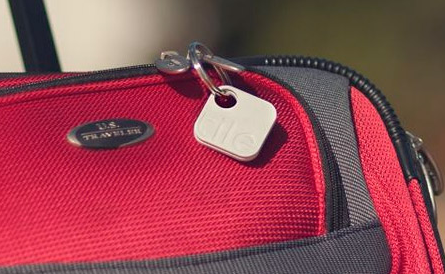 With the possibility of a community lost and found feature, the Tile offers possibilities for individuals who are challenged with material management! Interested in more about the Tile? Check out The Tile App.com for more information and special pricing for early buyers! I am looking forward to my Tiles arriving soon! More for those that are organizationally impaired or perhaps consider it a cognitive support? More for your personal or OT mTool Kit! This entry was posted in Accessories, Adults with LD, App Reviews, iADL's, iOS, iPad, iPhone, iPod/iPad Accessory, Occupational Therapy, Organization. Bookmark the permalink.